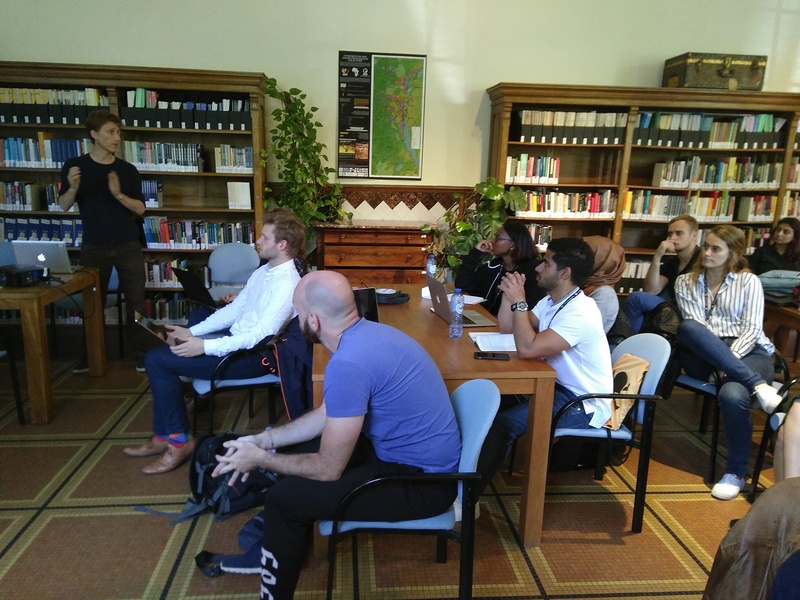 On September 6th, 30 students from the University of Antwerp ‘Mine to Finger’ Summer School on diamonds participated in a responsible sourcing workshop organised by IPIS. They explored the upstream context of the diamond supply chain in Central African Republic (CAR) and the Democratic Republic Congo (DRC) using IPIS webmaps. They engaged in a critical and nuanced discussion on various due diligence approaches. After a historical introduction to the conflict in CAR and DRC and an overview of the main due diligence approaches and frameworks, the students were introduced to the IPIS webmaps in both countries. These interactive maps allow to explore the different actors, drivers and incidents that play a role in these conflicts: from armed group and their zones of influence over conflict incidents to mine site locations and shipping routes. The students were challenged to answer questions on the sourcing contexts using the maps: identifying key diamond sourcing areas, exploring close-by incidents, researching armed group interference at sites and investigating nearby roadblock taxations. The exercise resulted in a critical, nuanced and open discussion about responsible sourcing in challenging contexts: “How problematic for responsible sourcing is passage taxation at armed-group controlled roadblocks near mining sites?”, “Which types of incidents could raise a red flag for sourcing from a particular zone?”, “What would be the advantages and risks to open or close this area for legal export?” etc. This provided for an interesting discussion on these topics. 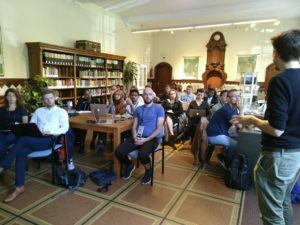 The ‘Mine to Finger’ summer school is organised yearly by the University of Antwerp and is targeted at final year Bachelor students and Master students from different disciplines, as well as at young professionals and researchers, interested in deepening their knowledge about diamonds and its industry. Topics include the historical, geological, technical, economical, commercial and ethical perspectives of the global diamond trade.